It’s a cold Sunday morning here in Texas. I am alone in the house, and it is quiet except for the wind. I am sitting here enjoying my coffee and trying to tackle my overflowing To Do list that has gotten a wee bit out of control this week. Too many unchecked items!! The last several days at work have been crazy and my evenings have been filled with functions and fund-raisers. I haven’t had quiet time like this in quite some time it seems. I have had this particular blog post on my list to write for months now. Yes, months. But how do I write about doing something I myself am not always able to do? And that is to make sure I am getting a healthy dose of Vitamin R.
“I have never heard of Vitamin R,” you are all thinking right now. Well I didn’t coin the phrase; I heard it in a podcast from JJ Virgin about reclaiming your energy (shownotes). And the R really could be called R&R, or REST and RELAXATION. Ours is a society these days of always on the go, connected 24×7 lifestyles. We are bombarded by information, and can succumb to the pressure of feeling like we need to have the perfect “Instagram-worthy” life, just waiting for those likes and RTs. All of our senses can become overloaded by information, making it difficult for us to concentrate and perform at our best. But my peace of mind, sense of worth, and overall well-being is not dependent on likes I get on social media. Societal acceptance and recognition is nice, but self-acceptance is even better. I live my life to be the best I can be for myself, my family, my employer, and the organizations I serve. That’s all that I can do. I don’t always have 100% of myself to give. Seriously, most people haven’t seen me at 100% of my A-game because fibromyalgia has robbed me of that. Because I live with condition that plagues me with fatigue, pain, and brain fog at times, I need to be especially cognizant of pencilling in that Vitamin R to my schedule. 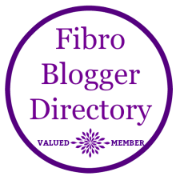 Self-care is crucial to dealing with those difficult days, “fibro flares”. But we ALL have to allow our brains, bodies, and souls down time to recharge. Literally, pencil in down time. I do. Do you? The bottom line is Vitamin R will help us to shut down the release of stress chemicals, help us balance out our neurotransmitters, slow down our brains, and achieve a calmer mind. Enjoying a quiet Sunday morning drinking coffee and reading a book – Coffee and green tea increase Dopamine levels. Switching to tea helps slow the breakdown of Acetylcholine. Getting a massage – Let your mind go and your body relax. Practicing meditation or yoga – Yoga increases GABA. Talking a walk – Being in the sun increases your production of Vitamin D and Serotonin. Watching a movie – Preferably a funny one! Listening to music – Let your body move to the music. Have a digital detox – Turn off your cell phones and enjoy life without that electronic leash. Down time. Time to unplug, rest, relax, recover, enjoy life. That’s what it is all about, isn’t it?!? You have to be deliberate about making the time for yourself. Find what makes you happy, brings you joy, and gives you a sense of peace. And then pencil it in to your schedule. Last fall my husband and I rented a cabin in the Smoky Mountains of Tennessee. That was heaven to me. I woke up early each morning and practiced yoga looking out the window to the sunrise over the mountains. We had our coffee on the balcony, and then hiked and explored. It took me no time at all to get into that vacation mode!! Heaven! Almost done with 11 mile hike! At home, I make sure my mornings start with my “me time” – gratitude and then a workout. The practice of yoga, I have found, is excellent “me time” – it helps me center myself for the day. It is not like a mindless walk on the treadmill watching shows on the DVR or Netflix, I really have to think about my breathing, how I am positioning my body. This brings a sense of calm and focus to begin the day. These guys were enjoying the concert in the square as well! We all have goals and aspirations we are working towards. Work goals. Relationship goals. Life goals. But we shouldn’t let those things get in the way of taking the time to recharge along the way. Make happiness, fun, relaxation part of those goals. Giving yourself and your brain time to recharge is critical to our well-being. Your brain wasn’t designed to be on 24x7x365. Give yourself permission to relax and then give yourself sufficient time to do this. These practices will help you be more mindful, more efficient, and more effective. Your mind, body, and soul will thank you for it. What are some ways you like to recharge and relax? Previous Previous post: Thank you, FBD!